I really wish she would eat. 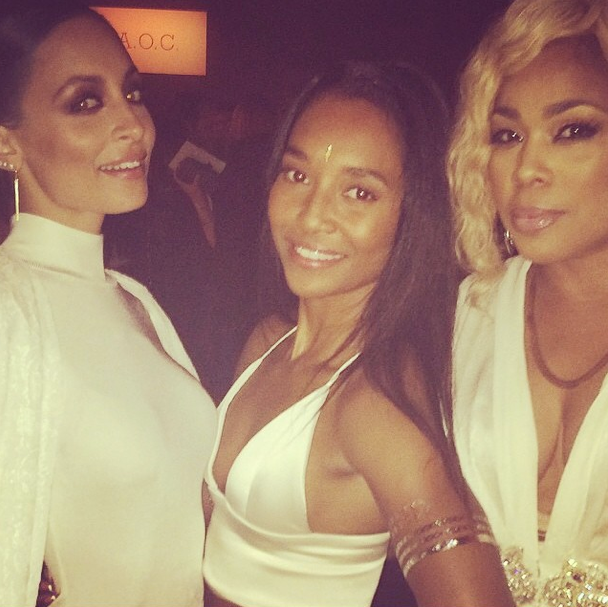 T-Boz and Chilli caught up with Nicole and snapped a cute "us-sie". TLC wore wore custom outfits created by designerBrea Stinson. The ladies hit the stage to perform their 1994 hit "Waterfalls". Nicole hopped on stage as an honorary member. Ha! how old is Chilli? She's looked about the same age for 20 years.